Natural habitats play a key role in insulating plants and animals from heat stress, a new paper reports. The finding raises concerns regarding our predictions of how resilient the biosphere will prove to be in the face of climate change, as loss of cornerstone species will have a cascading effect throughout whole ecosystems. Mussels are among the animals that maintain comfortable conditions for other species. If they go, the whole ecosystem collapses. The research focused on the rocky shorelines stretching from the Channel Islands, California, through to Washington’s Olympic National Park. Because of the shallow waters, marine wildlife in this area is exposed to much higher temperatures than farther away from the coast, putting them at risk of suffering from heat stress. If so, why haven’t the inhabitants of these beaches moved to deeper waters, where temperatures are comfortable round the clock? One team of researchers, led by Laura Jurgens, a postdoc researcher with the Temple University and Smithsonian Institution, say it’s because the local ecosystem itself protects species here from the excess temperature. 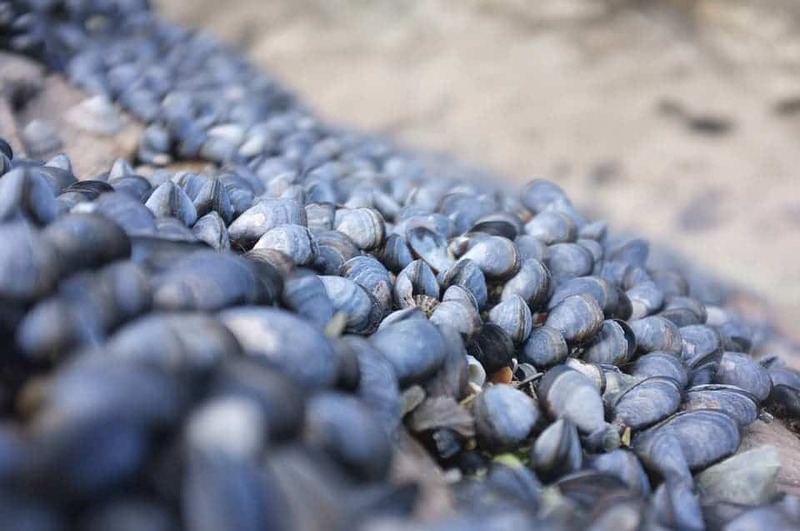 Just as trees support habitats that birds and chipmunks thrive in (thus forming the cornerstone of the ecosystems), so too do species like mussels and seaweed maintain optimal habitats for other coastal species. They also keep overall temperatures in check, so that members of the same species living in southern California ultimately see no difference in heat stress compared to their counterparts in northern Washington. It’s very good news for beach-dwelling critters everywhere, but it also raises an immediate concern — when the cornerstone species become overtaxed and can’t maintain ecosystem status quo any longer, all the species relying on their efforts will be left without a home and with precious little time to adapt. The authors explain that plants and animals that occupy habitats serving as “ecological air conditioning” won’t need to relocate as temperatures start increasing. It’s a “deceptive” resilience, however. Cornerstone species will be increasingly strained over time, making them vulnerable to sudden events like warm ocean fronts or heat waves, diseases, and extreme storms. When they get overwhelmed, the whole ecosystem will go down with them, the authors warn. Scientists have observed some plants and animals leaving lower latitudes for cooler ones under stress by climatic changes. The authors explain that the effect ecosystems play in regulating temperature is, in fact, much more pronounced than that of latitude. Overall, the study raises some immediate concerns regarding the health of our ecosystems. On the one hand, their effect might have made us underestimate the full effects of climate change on different species of plants and animals. Secondly, it showcases just how important habitat integrity is to the well-being of species at large (on which humans also ultimately depend on), reinforcing the benefits of conservation efforts. “If you’re an octopus living in a mussel bed, the most important thing to keep your body temperature survivable is that mussel bed around you, not whether you live in Southern California, where it’s warmer, or Washington,” Jurgens said. Finally, the team writes that their findings have implications for other habitats like grasslands and rainforests as well, which support millions of smaller species. The worst case scenario we’re looking at is this – habitat failure begins slowly, imperceptibly, in isolated pockets, and then cascades as the ecosystems that relied on those habitats crack under the strain – it’s a truly terrible chain reaction. Destroying habitats, no matter where they are found (which make no mistake, we are doing right now) will severely damage climate resilience. Restoring, nurturing and conserving them can help maintain biodiversity – and ultimately, our wellbeing – as the climate warms. The paper “Physical effects of habitat-forming species override latitudinal trends in temperature” has been published in the journal Ecology Letters.